Well THIS was a challenge! I was trying to make something with less than 5 ingredients, on the cheap, based on what I had on-hand, and of course, VEGAN. 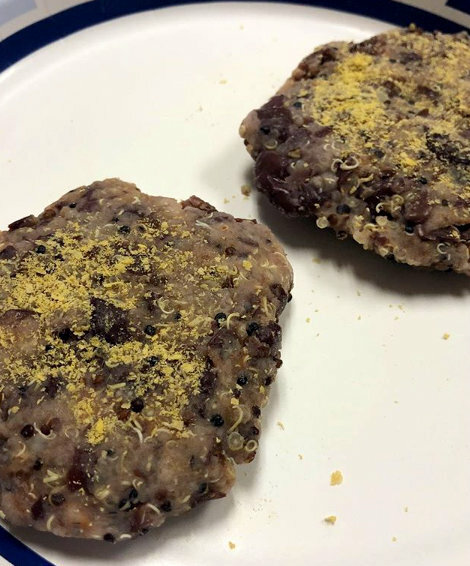 I came up with these Kidney Bean Quinoa Burgers. These are the raw patties. I'm still testing them. They weren't bad. But I think I will be adding garlic next time! I would also like to try these in my dehydrator. What you see above contain the following...Kidney Beans, Tri-Color Quinoa, Smoked Paprika, and Nutritional Yeast. When I left for work this morning I saw this. 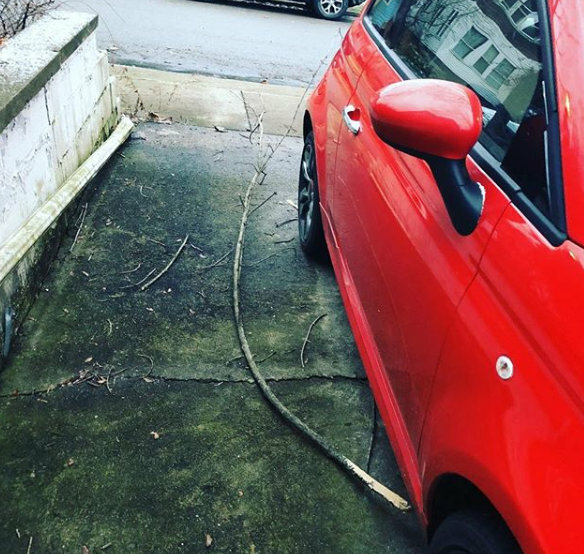 A tree limb fell on or near my Fiat. I looked and looked and couldn't see any scratches or dents. That was a close call! The weather has been overly nuts this winter! No real snow to speak of...not that I'm complaining...I'm not a fan of snow! We had 50+ degrees and thunder and lightning yesterday! VERY unusual for us here in the snow belt. Over the next couple of days, we could see some snow and today has turned colder with wind gusts! The feedback I have received so far about adding more animals to my posts was a very positive one! I won't be doing this every day but I hope to include many more in my posts when I'm able to. 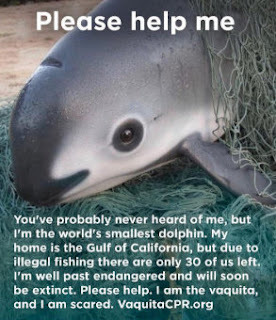 I'll tell you one of the species that has really been on my heart lately is the Vaquita (pictured above). Look at those eyes! According to many sites, there are less than 30 individual Vaquitas left. I've even seen some sources say as few as 12 to 15 remain. They are only found off the coast of Baja California/Baja Mexico and are usually seen thru illegal fishing operations. They were discovered in 1950 when a dead bleached skull was found. The following year 2 (or 3) additional skulls were found and that was enough to declare a new species of porpoise by 1958. By 1997, the population was estimated at around 600. To put that into perspective, I graduated in 1997...so in just about 22 years WITH these beauties being on the endangered species list and the focus of many efforts to save them...they have gone from 600 down to between 12-30 individual beings! It breaks my heart! But if we can continue to protect them and educate others about them MAYBE we can bring them back from the brink of extinction! I've been wanting to experiment with a veggie burger/patty myself. I'm not always the best at making vegan burgers! OMG, that is so heartbreaking. I'm not the best at making veggie burgers, either...but...I just might be on to something here! LOL - I have had better luck with the ones I have put in my dehydrator...they don't seem to fall apart as much. OMG I can't with that face. What a beauty and such a sad story. The burger looks and sounds delicious! I'm glad that your car was ok! I'm glad the car was ok, too! Thank goodness! Luckily, the falling tree limb did not do any damage to your car. We do not have dolphins around here, would be sad if there aren't anymore. I will be doing research on Endangered Species in your country soon! 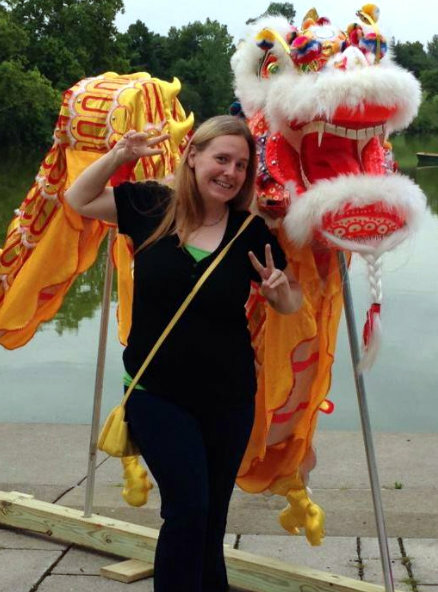 There are so many water animals and land and sky animals that are too close to disappearing! There are times when I really believe that humans are the worst thing to have ever happened to the planet. We destroyed, currently destroy and will keep destroying until there is nothing left. It breaks my heart in million pieces when I see beings suffering and disappearing because of our selfishness. We need to wake up. Badly. On an happier note, I love experimenting with vegan burgers. I often fail (they fall apart, etc) but I always have fun! I know what you mean about humans! As for veggie burgers falling apart...I have the same problem! I have noticed the ones I dehydrate seem to keep it together better, tho! So fun with the patties, I love experimenting in the kitchen. And so freaking sad about the dolphins, humans really can be horrible. :-( Glad your car was okay! I'm glad there are organizations and individuals out there that are trying their darnest to save them but it's so hard because lots of people just won't listen...ya know? I have heard of those sweet little beings, and it is so sad. I heard that the known place where some of the last of them live is a very tightly guarded secret. I would love to learn more about the facility that is trying to protect them! If it's anything like the facility in Kenya that protects the Rhino's I'm sure security IS tight!